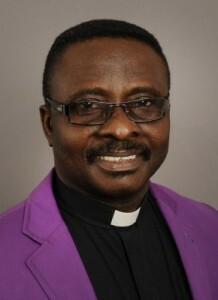 President of Christian Association of Nigeria (CAN), Rev. Samson Ayokunle, said President-elect of the United States of America, Mr Donald Trump, was positioned by God to fight immorality in the country. Ayokunle said this at the 29th General Assembly of the Christian Council of Nigeria (CCN) held at First Baptist Church, Garki, Abuja, on Thursday. He called on Americans to watch very closely as the new administration would not tolerate the issues of immorality in the country any more. According to him, God has now positioned him to fight the immoral life in the American society; the nation that was once known as God’s own country is vastly becoming Sodom and Gomorrah. Ayokunle said that there was an extent to which a nation would emphasise circular and individual liberty to the neglect of God’s absolute reign to the affairs of men. He called on Nigerians to be on guard at all times as Boko Haram had not been fully defeated, following the recent killing of Lt. Col. Abu Ali and some soldiers in Maiduguri. He said “it is not over until it is over; the fact that a top army officer was killed is a signal to the fact that we have not defeated them. “It was also an attestation to the commitment of the Federal Government to fight this demon called Boko Haram. What a video it is! Genuinely amazing and nice quality, please upload more video lessons having such fastidious quality. Thanks. beeejriwnl,If you have any struggle to download KineMaster for PC just visit this site. bmbfzmzrf New Yeezy,If you are going for best contents like I do, just go to see this web page daily because it offers quality contents, thanks! qbgxuvnwtw,This website truly has alll of the information and facts I wanted about this subject and didn?t know who to ask. qrxmfuq Yeezy,If you are going for best contents like I do, just go to see this web page daily because it offers quality contents, thanks!